A modern BRMS provides good tools for rules-level traceability. Seeing which rules use which data fields and tracing rule execution on historical transactions are a key element of the transparency delivered by a BRMS. A modern BRMS also does a great job of showing you the impact of a change to the rules, letting those who change the rules run suites of tests or simulations against historical data. Being able to quickly visualize and assess the business impact of a change to the business rules is a key feature of a BRMS. Rules architects know that BRMS level traceability and impact analysis is necessary for success, but it is not sufficient. Next week I’ll wrap up by describing how decision modeling lets you use an agile not waterfall approach to write the rules. Want to learn more about decision modeling? 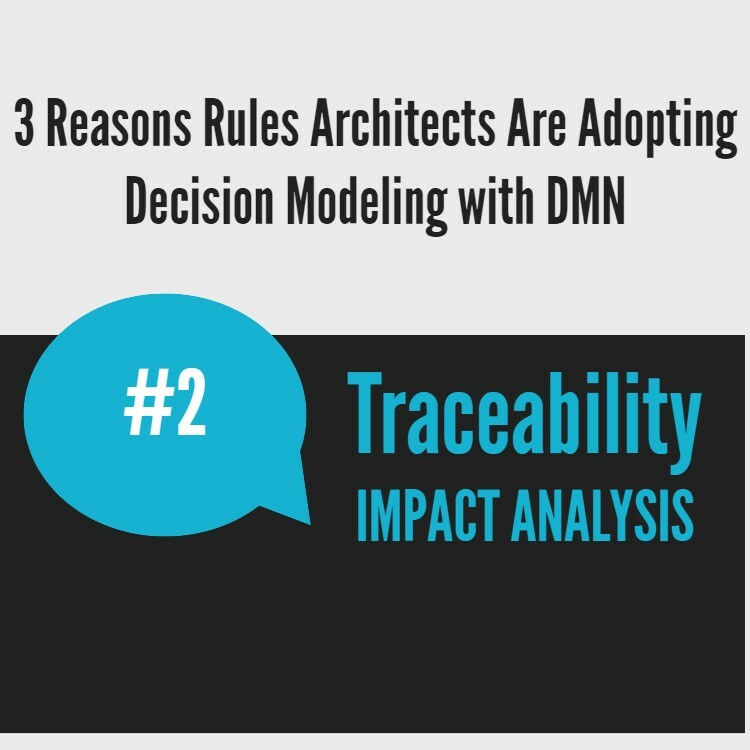 Check out our white paper on Decision Modeling with DMN.